A winner of the Myers Outstanding Book Award given by the Gustavus Myers Center for the Study of Bigotry and Human Rights in North America. Book jacket. Charles W. Mills is Associate Professor of Philosophy at the University of Illinois, Chicago. 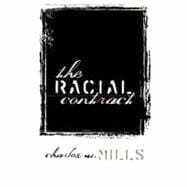 He is author of Blackness Visible: Essays on Philosophy and Race, also from Cornell.